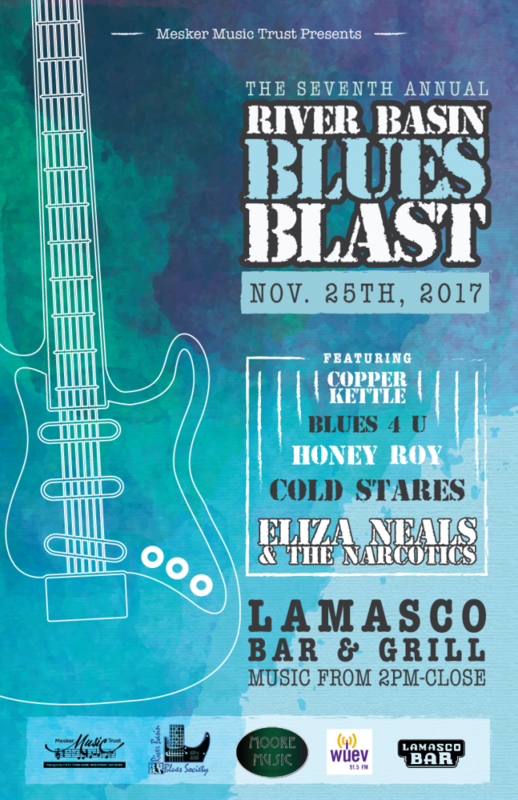 The River Basin Blues Society will present the 7th Annual River Basin Blues Blast on Saturday, November 25, 2017 at Lamasco Bar & Grill. The Blast will begin at 2:00 pm and go until closing. Lamasco Bar & grill is located at 1331 W. Franklin Street in Evansville, Indiana. 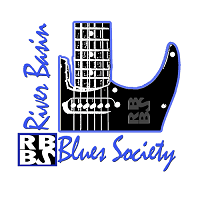 The 7th Annual River Basin Blues Blast has been underwritten by a grant from the Mesker Music Trust. Because of this generosity, there will be no cover at the venue for this event. Other sponsors include Moore Music, Lamasco Bar & Grill, and WUEV 91.5 FM. Opening the Blast will be Copper Kettle. 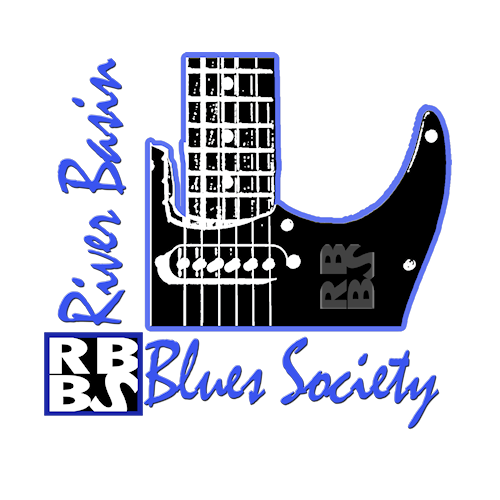 This is an acoustic roots and blues group featuring Dale Niehaus (vocals, guitar), Gary Jines (harp), and Austin LeClaire (percussion). Also featured with the band for the Blast will be Jon Hyneman on bass. Blues 4 U will bring the long-standing tradition of great blues to the stage of Lamasco. This group is the only band to perform at all 27 years of the WC Handy Blues and Barbecue Festival. An all-star band features Carl Rodenberg (piano, vocals), Roy Carter (sax), Tommy Stillwell (guitar, vocals), Jon Rochner (bass, vocals), and Danny Erkman (drums). Honey Roy is a father/son affair. Roy Carter (sax) and Micah “Honey Ro” Carter (vocals, keys, harp) bring the sense of family to the blues along with Chris Corgan (guitar), Jon Hyneman (bass), and Matt McGuyer (drums). The Cold Stares hail from Nashville, Tennessee and bring an authenticity to music that make this duo a must-see whenever they play. Chris Tap and Brian Mullins have just release of their eighth project entitled Head Bent. The final group to take the stage at the 7th Annual River Basin Blues Blast will be Eliza Neals and the Narcotics. The band is a combination of modern electric blues, psychedelia with a twist of jam band, and southern soul. Eliza Neals is a dynamic combo of a sultry, powerful, multi-genre vocalist and someone who knows the business of music and bringing the best to her audience. Eliza Neals has been compared to greats like Etta James, Janis Joplin and Ricki Lee Jones, among many others. The band’ latest release, 10,000 Feet Below charted at #2 on the Blues-Rock charts and #1 on the NEW YORK Album charts for 4 Weeks straight! And it reached at #8 on the worldwide blues Roots Music Report.